These tests are really helpful to prepare TOEFL. Useful tests, Thanks for sharing. 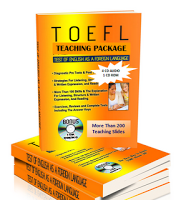 This is the complete detail about the TOEFL test system and I think this idea is so good. The sense of test is so nice and I like this idea so much but british essay writers are able to help you with practice books which you can easily pass this test. The helping material also exists in this site.